Fall in love with the beauty of Thailand, the tropical paradise. Exuberant scenery. Buoyant terrains. Majestic landscapes. Cheerful people. Smiling women. Spirited economy. Brash culture and profound history. 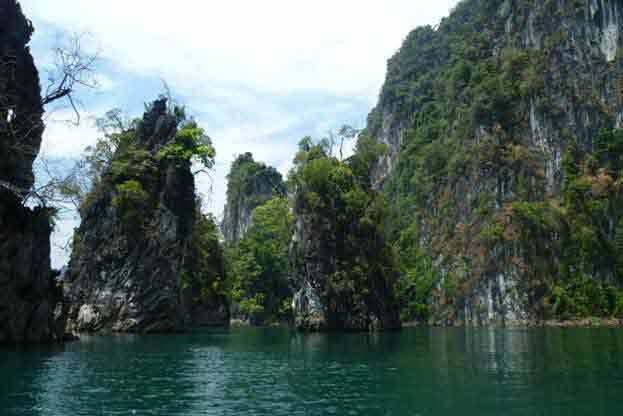 Some of which that best describe Thailand, often called as “Tropical Paradise”. Thailand, previously called as “Siam”, is a Southeast Asian country known for its spectacular and breathtaking tourist destinations. It is home to over 70 million people with Bangkok as the capital city. The country is also one of the leading economic powers in Asia holding the 20th spot for the world’s measurement by GDP. History about Thailand says that the government was ruled by military dictatorships. Some of these dictators were Luang Phibunsongkhram, Pridi Phanomyong, Sarit Thanarat and Thanom Kittikachorn. The dictatorship lowered down in the year 1973. After which, prime ministers came out to the scene and eventually ruled Thailand until these days. For the Thai culture, it’s their religion which influence the people a lot. Their beliefs and traditions are mostly based on Buddhism. Aside from Buddhism, the Hindu principles contributed a lot to the art and literature of Thailand. Its neighboring countries are also contributors of the Thai culture, such as Cambodia and Myanmar. The Buddhist principles influenced the Thai people to be family-oriented and respectful beings. Their sense of togetherness in every family setting is one factor of their considerable and highly dignified traits. 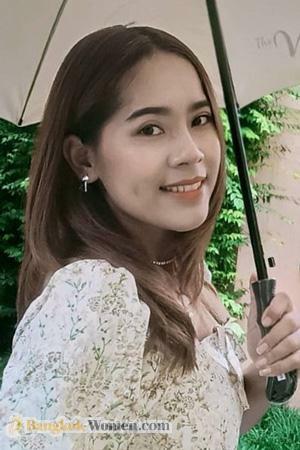 A pure testimony that Thai people are some of the most respected people not just in the continental Asia but across the world. 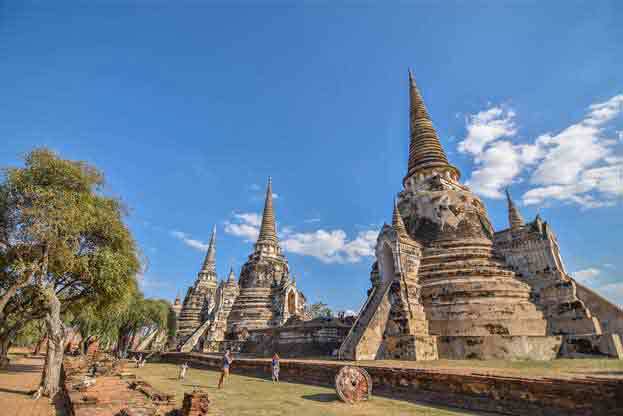 These information about Thailand provides profound teaching that the Thai culture is something we need to discover and treasure. Pattaya - For someone who loves jet skiing and parasailing, rerouting your journey to Pattaya is not a mistake. This city is known to house the Jomtien Beach which allows you to do ocean activities like surfing, scuba diving and jet skiing. 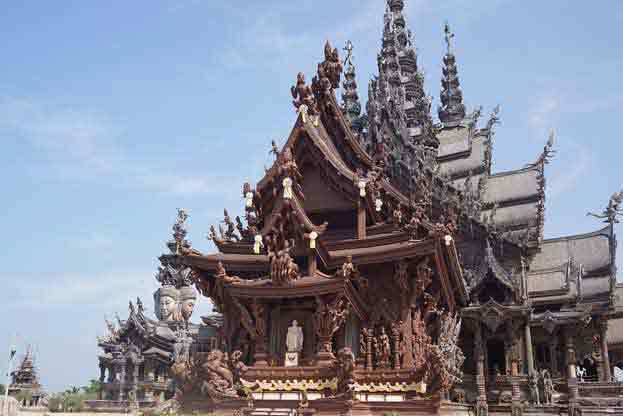 Meanwhile, for someone who loves meditation, visiting the wood-carved temple “Sanctuary of Truth” is a must for you. 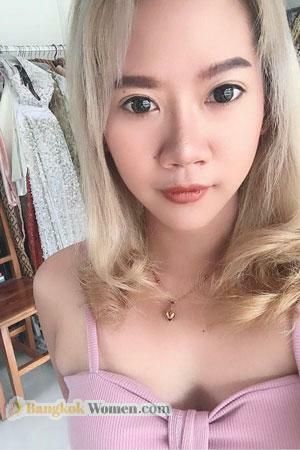 And if going out at night is your go-to activity, Pattaya nightlife is the sure cave for you. Discos, bars and night market is always available in the city. This signifies the vibrant atmosphere of Pattaya at night time. Phi Phi Islands - A group of islands in the coast of Phuket and Strait of Malacca. The beaches are perfect for snorkeling and scuba diving. 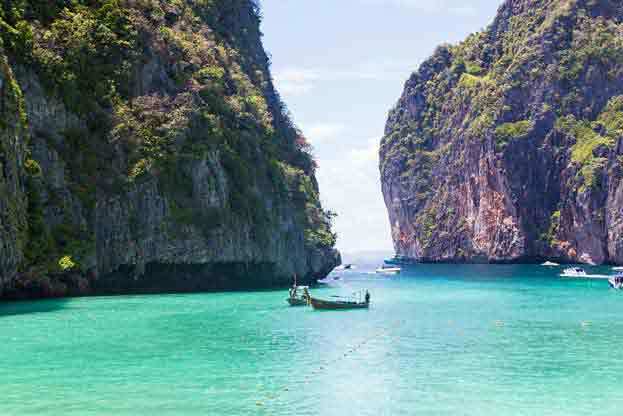 Some of the most visited islands include: Ko Phi Phi Lee, Ko Phi Phi Don, and Maya Bay, housing a beautiful lagoon for tourists to sojourn in. Khao Sok National Park - Mountain trekking, canoeing, water rafting, or whatever that might be, all these you can enjoy in Khao Sok National Park. This park is home to the oldest rainforest in the world. The fauna and flora of the said park is preserved enough to maintain such equality in biodiversity, which is also considered as one branch of the Thai tourism. If you are looking for a great unwind and relaxation, visiting the park is a great advice you should grab. Phuket - Mountain trekking, canoeing, water rafting, or whatever that might be, all these you can enjoy in Khao Sok National Park. This park is home to the oldest rainforest in the world. The fauna and flora of the said park is preserved enough to maintain such equality in biodiversity, which is also considered as one branch of the Thai tourism. If you are looking for a great unwind and relaxation, visiting the park is a great advice you should grab. Ayutthaya Historical Park - A historical park in Ayutthaya, Thailand. Its ruins were the symbols of the old city and later in the 1990’s, it was proclaimed to be a UNESCO World Heritage Site. The tour in this park will surely give you a taste of a vibrant history. The temples in the park were nicely renovated to maintain its essence in the historical Thailand. 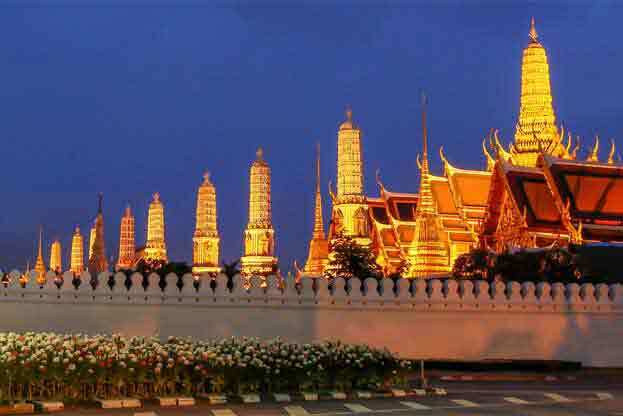 Wat Phra Kaew - The most sacred temple in Thailand located in Bangkok. The famous Emerald Buddha, made up of jade stone, is situated in one of the buildings in the temple. The decorations of the building displays the image of Buddha, a classical style embedded to Buddha’s life. 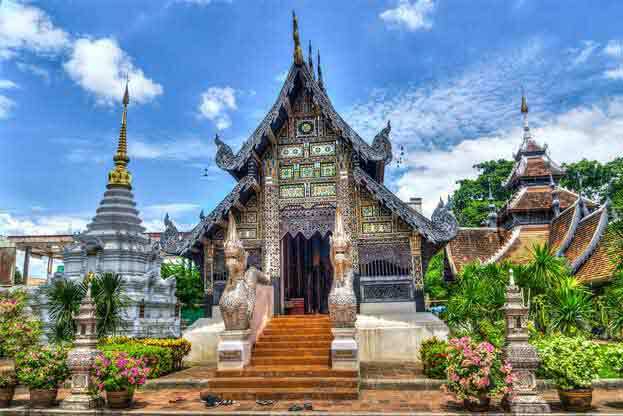 Chiang Mai - A traditional city which houses the old architectures of Thailand. Buddhist temples are situated in the area making it also the religious center in the northern Thailand. Aside from the majestic structural designs and ancient establishment in the area, galleries, cafes and relaxing places are also available, which you can just stroll outside the said city. If you are looking for some adventures in Chiang Mai, you can do so by visiting the Chiang Mai Night Safari, where you can do rides in the safari and watch shows in the park. The beauty of Thailand allures guests or tourists to continue visiting the country. The lavish of the countryside and tropical atmosphere of such country garnered them the spot for being one of the wonders in the world. Its majestic structural designs and exalted temples marks the religious and traditional side of the country. Its people, men or women, children or elderly, such beauty is a class and an awe enough to be given for its dominance. Travel to Thailand now and fall in love with the position it has across the globe.